It was an abysmal weekend for the Mariners in their biggest series of the season to date. 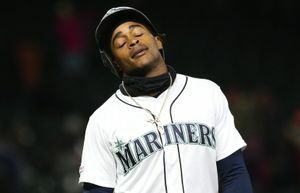 ARLINGTON, Texas — The Mariners finally got the quality start from a starting pitcher that they’ve been seeking. 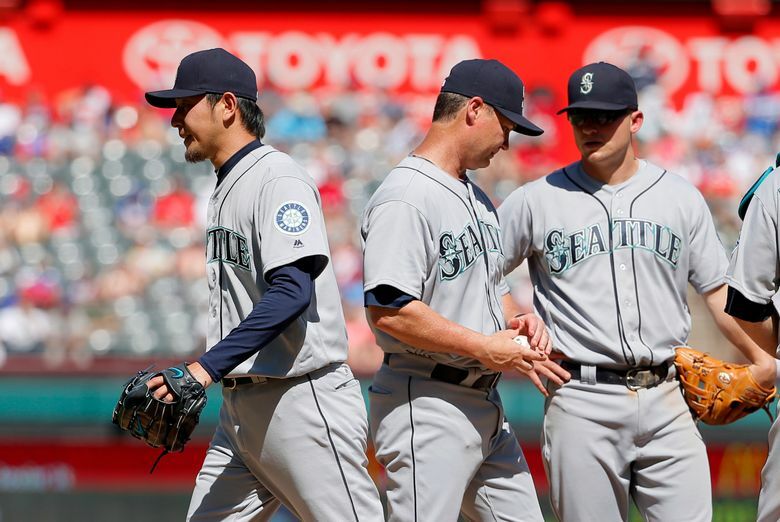 Hisashi Iwakuma gave the Mariners everything they needed to salvage a series win Sunday and avoid being swept by the Texas Rangers. Instead, Seattle gave the game away with two costly mistakes and not enough offense, squandering Iwakuma’s outstanding outing in a 3-2 loss. 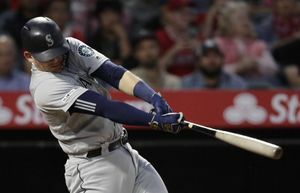 It was a disheartening five-game road trip for the M’s, who return home three games out of first place in the AL West. It was an abysmal weekend for the Mariners in their biggest series of the season to date. 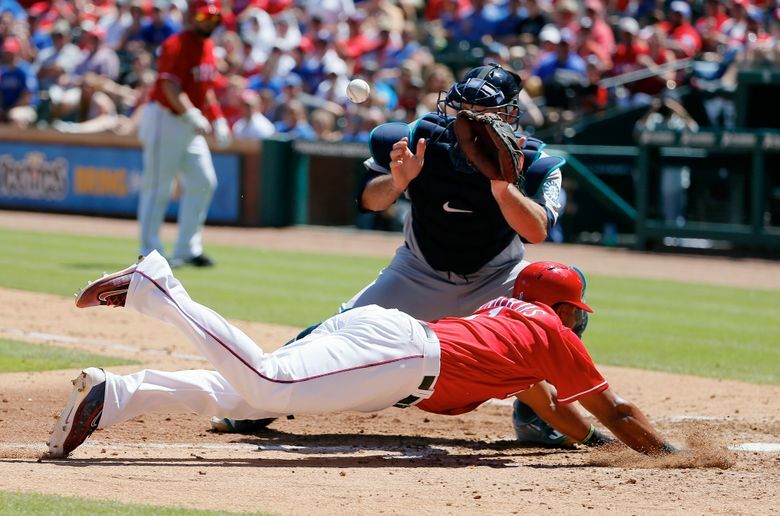 They came into Globe Life Park on Friday tied with Texas atop the American League West standings and dropped all three games with only Sunday’s game being much of a contest. 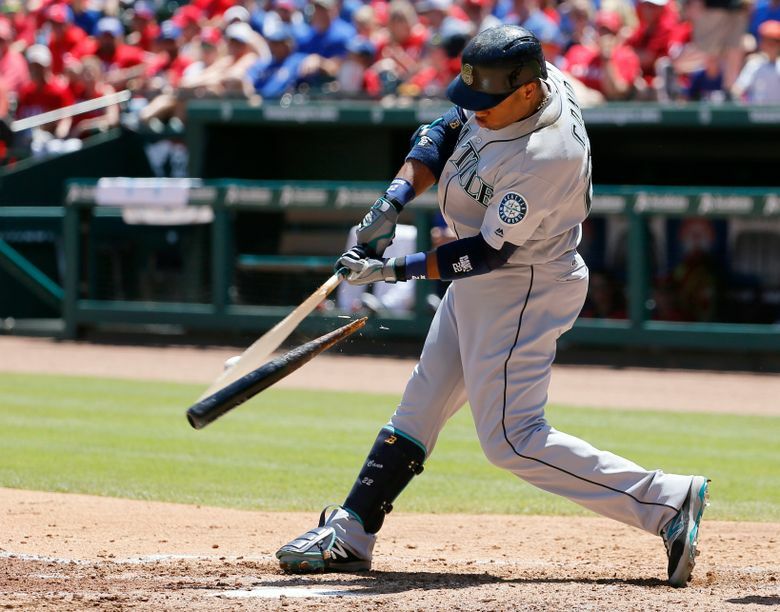 The Mariners fell to 31-25 as Texas went up three games in the AL West. 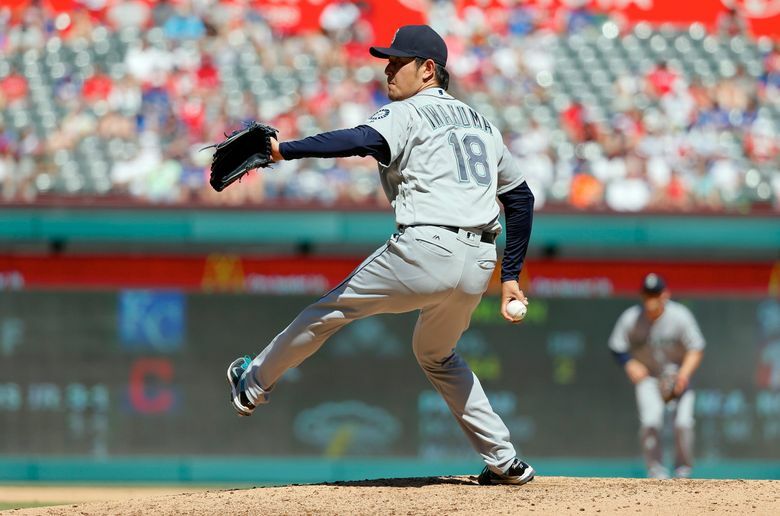 Iwakuma (4-5) gave the Mariners one of his best starts of the season, working seven innings, giving up three runs (one earned) on four hits with a walk and seven strikeouts. Iwakuma cruised through the first four innings, allowing just one base runner — a leadoff single to Jurickson Profar to start the bottom of the first. Nelson Cruz’s two-run homer off Rangers starter Derek Holland in the third inning, gave Iwakuma a 2-0 lead to work with. But with one out and a runner on first in the fifth, the Mariners’ defense fell apart and the lead disappeared. Luis Sardinas booted a slow roller off the bat of Elvis Andrus. While a double play was unlikely, getting at least one out would have been useful. Texas capitalized on the error. Jared Hoying lined a single into left-center to score Mitch Moreland to cut the lead to 2-1. The most memorable Mariners’ mistake soon followed. With a runner on third and one out, Iwakuma got Bobby Wilson to hit a shallow fly ball to left field. Stefen Romero came on to make the catch and looked prepared to throw home if Andrus, who was on third tagging up, decided to go. After coming off the bag slowly like he wasn’t going to go, Andrus watched Romero hesitate and hold onto the ball for a few seconds instead of firing it immediately to the cutoff man, Kyle Seager. Seeing Romero flat-footed, Andrus broke for home. Romero hurried a loopy, readjusted throw to the plate, but it was too late. Andrus slid in safely, well ahead of the ball and the score was tied at 2-2. Romero used the term lackadaisical to describe the play, admitting he should have just threw it in immediately. It didn’t remain tied for long. Iwakuma left a 1-1 fastball over the middle that Profar lined to left for an RBI single, scoring Hoying with the go-ahead run. Romero overran the single, and didn’t make a throw home, and Profar advanced to second.